Looking for fast, reliable, convenient PC support contracts? London based Them Digital is available to provide high quality, cost effective solutions. We understand the irritation, cost and difficulties caused when a computer malfunctions. So whether your business is large or small, we offer a full range of PC support contracts to clients in Central London and Greater London. 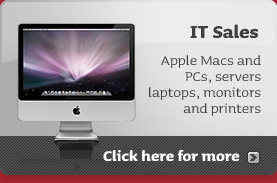 If you are looking for PC or Mac support, Them Digital engineers are here to provide the right service for you. What Type Of PC Support Contracts Are Available? We offer four types of PC support contracts to London clients. Our AD Hoc support is our pay as you go computer maintenance service. Call us when you have a problem and we will fix it for. Work is charged at a set hourly rate / estimates are available on request. Our telephone/remote support service is the next level up from this. Via telephone and remote log in we are able to solve a wide range of PC or Mac problems without an on-site visit. This service includes unlimited monthly support and clients on this service take priority over ad hoc support requests. Site call outs when required will be charged as extra. Our third level of cover is our on-site software support contract. This includes unlimited site call-outs for operating system and application software issues as well as remote / telephone support. Available for a fixed monthly fee, this package includes preventative maintenance visits and a complete system overhaul including updates, interconnectivity, system patches and hardware tests. Clients who take out this contract are guaranteed an engineer will be with them by the next day – and usually within 4 hours of placing their support request subject to contract. For full cover no matter what the problem, our comprehensive computer support package offers our highest level of support. It includes all the on-site software support contract features listed above as well as unlimited call outs for hardware issues. Included in the fixed monthly fee is a full repair at your business premises, where possible, of any hardware faults and replacement of parts and installation. For ultimate convenience, we provide a loan of a machine if your workstation is sent away for repair. PC Support Contracts – click here for full information on our PC support plans. Which Support Is Right For My Business? Our pay as you go Ad Hoc Support is perfect for businesses who do not want to be tied into a contract. Just call us when something goes wrong and we will repair it for you at a set hourly rate. It is as simple as that! This is a great service for small businesses that do not have an IT budget. We provide the same quality level of service as our more comprehensive packages, however it does not have all of the benefits of our PC support contracts. For example, our Ad Hoc support service is a reactive, rather than proactive service, which means we respond to issues as and when they arise. Ad Hoc clients do not benefit from our preventative care service, such as checking back-ups and updates, which are included with on-site support. This means that computers may malfunction more frequently as they are not maintained as thoroughly. Ad Hoc support is much harder to budget for than a fixed monthly contact as it incurs variable monthly costs. This could mean a large IT bill in some months, rather than regular affordable payments. Another disadvantage of our Ad Hoc service is that we cannot guarantee call out times. So whilst we will always endeavour to assist you as quickly as possible, there may be a slight delay if we are currently very busy with contract client work. In comparison, our contract clients can call us as many times as they need, get faster response times and have fixed monthly costs. Our remote support service aims to deal with a wide variety of everyday PC issues via the telephone or remote log in. It is an unlimited service, where clients simply call when they require support and we will do our best to fix the problem / advise if a site visit is required. Businesses on this package will also gain priority over non-contract (Ad Hoc) clients for emergency call-outs. Remote support covers a range of issues including software and application issues, fixing machines with viruses, setting up users on email, e-mails not working, printers not working, a computer that keeps crashing, difficulties logging into a server and a general set up for checking back-ups are running. In short – those little annoying things that slow you down or stop you working can often be fixed fairly quickly getting you back up to speed in no time. With our remote support service, our engineers offer immediate clear and concise telephone support from anywhere – even when they are out on a site visit. Anyone in your office can phone for support if they are experiencing problems. Our support number connects directly through to the Them Digital engineers, rather than a support desk and our friendly and knowledgeable engineers will aim to deal with the problem right away. As with Ad Hoc support, our remote support service is a reactive, rather than pro-active service. We do not provide preventative care, such as checking back-ups, virus protection and updates. However, if required, we can provide annual system overhauls to maintain the health of your PC at extra cost. Our on-site software support package offers unlimited site call outs for operating system and application software issues. There is no hourly rate, just a fixed monthly fee and our clients can call us as often as required. We recommend clients who take up our on-site software support package have a minimum of three computers to make it cost effective. This complete peace of mind service includes telephone and remote support, preventative maintenance visits and a complete system overhaul of contracted equipment. Our clients are guaranteed support by the next day and often within four hours of their telephone call subject to contract. Them Digital engineers will start by providing an overview of our client's system. We make sure back-up is up and running, look at e-mail, anti-virus and put forward recommendations such as installing RAM to make the machine work better. All our new clients are asked to put together a gripe list of bugs. Included in the software package is a full system overhaul including updates, system patches, interconnectivity, system back-ups, network speeds and a check of the software our clients use. For clients with a hardware-related problem, we advise them on the best repair routes and costs to get them back up and running. Any hardware faults, such as the hard drive failing will be quoted separately. This provides all the features of our on-site software support package and in addition we repair your hardware if it malfunctions. Included in the monthly fee is a full repair at your business premises, where possible, of any hardware faults and also replacement of parts and installation. If our engineers are unable to fix your machine on the premises right away and we have to send your workstation away for repair, then you are entitled to a loan machine until the problem is resolved. All our repairs, as well as parts and delivery charges are included in the annual fee, for ease of budgeting and peace of mind. Our hardware support service is not like an insurance policy in that we won't replace a machine that has died. However, if a machine goes down, we will do everything we can to get it repaired. Can I change support contact at any time? Yes you can. Clients can switch to another package, if preferred. All they have to do is to give one month's notice in writing to change and the same if they wish to cancel. What happens if we don't use it? A large part of the on-site software support and on-site hardware support contracts are preventative. We avoid expensive downtime through system overhauls and regular maintenance This means that even if you call us out a few times a year, you will still get value for money. Clients on our remote support contract have the peace of mind that there is always someone there when a problem occurs. It provides you with expert IT support, without the need to employ someone in-house. What happens if we need help with something that is not covered by our support contract? If you require additional support to what is covered in your contract then we will provide an estimate / charge you at our standard hourly rate. How do I contact Them Digital when I need support? You can contact us by telephone or e-mail. Our support service is provided during normal office hours (9am-6pm Monday to Friday). How long will we have to wait for support? For our on-site software and hardware support services, we provide a guaranteed next day service and often support is provided within four hours subject to contract. Clients on the Ad Hoc or remote support services are dealt with, as resources are available. Remote support clients get priority over Ad Hoc work. Is support provided for both PCs and Macs? What areas of London do Them Digital Cover? We cover all of central London and greater London including N1, N2, N3, N4, N5, N6, N7, N8, N9, N10, N11, N12, N13, N14, N15, N16, N17, N18, N19, N20, N21, N22. NW1, NW2, NW3, NW4, NW5, NW6, NW7, NW8, NW9, NW10, NW11. E1, E2, E3, E4, E5, E6, E7, E8, E9, E10, E11, E12, E13, E14, E15, E16, E17, E18. W1, W2, W3, W4, W5, W6, W7, W8, W9, W11, W12, W13, W14. SW1, SW2, SW3, SW4, SW5, SW6, SW7, SW8, SW9, SW10, SW11. WC1, WC2. EC1, EC2, EC3, EC4. SE1, SE3, SE5, SE8, SE9, SE10, SE16, SE19. Who do Them Digital work with? Our clients include press and public relations companies, publishing companies, recruitment firms, educational and charitable organisations and major retail establishments. Among our valued clients are: AB Publishing, Krieger Diamonds, Beaconbrands, Barnardo's, MIT Press, British Red Cross, MCA New Business Development, Crown Rivers Services, Monsoon Accessorize, CriticalEye (Europe) Ltd, Piccadilly Press Publishers, DWA, Plexus Publishing, Bolton & Quinn, The Saffron Partnership, Fishburn Hedges, Smithfield Consultants, Fill Recruitment, Spinnaker Direct Llp, School of Economic Science, Frances Lincoln Publishers, Harvard University Press, Thomas River Services, Jaeger, Turner Pocock Interior Design, Yale University Press, Kyle Cathie Publishers and the Chime Communications Plc Group including BMT Group, Team Spirit, Bullnose, Rare Corporate Design, SFW and VCCP.